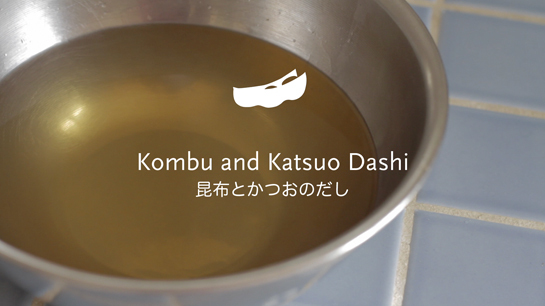 Making dashi is easy and it’s used in many Japanese dishes, so it’s worth knowing the basics. All you need is a kombu (dried sea kelp), katsuobushi (bonito flakes), and water. I’ve written about it before, way, way back when I first started this blog. I decided to revisit the recipe and make a video to show you just how easy it is. Hope it inspires you to get cooking! Full recipe for dashi is here. My friend Kevin Mapp shot and helped edit the videos. He is a photographer and one half of the duo behind the food business, The Rice Creamery. Their gourmet rice pudding is unlike anything I’ve had—the flavors are unique and the sweetness is restrained, just the way I like it! They’re everywhere in the LA food scene—you can catch them at the Autry Farmer’s Market on Saturdays as well as other food events in the area. Follow them on Facebook or Twitter to get updates on where you can taste their latest offerings! This entry was posted in Basic Techniques, Traditional Recipes, Videos. Bookmark the permalink. Post a comment or leave a trackback: Trackback URL. Great idea! I think videos like this can help ease some of the initial intimidation people feel when they decide to start cooking Japanese food. Can you also show us some uses for the spent kombu (e.g. tsukudani)? Emma, what a great idea. I’m so bad a reusing kombu, but it’s such a waste! Thanks for reminding me to be more resourceful. These videos are a great idea, Azusa! I’ve only “made” dashi using instant dashi powder but I’ve been wanting to try making it from scratch. Now I have good guidance! Mia, I was the same way—I always had the powdered stuff on hand. Good luck with the dashi-making and glad to be of help! May, I’m so happy to hear that!